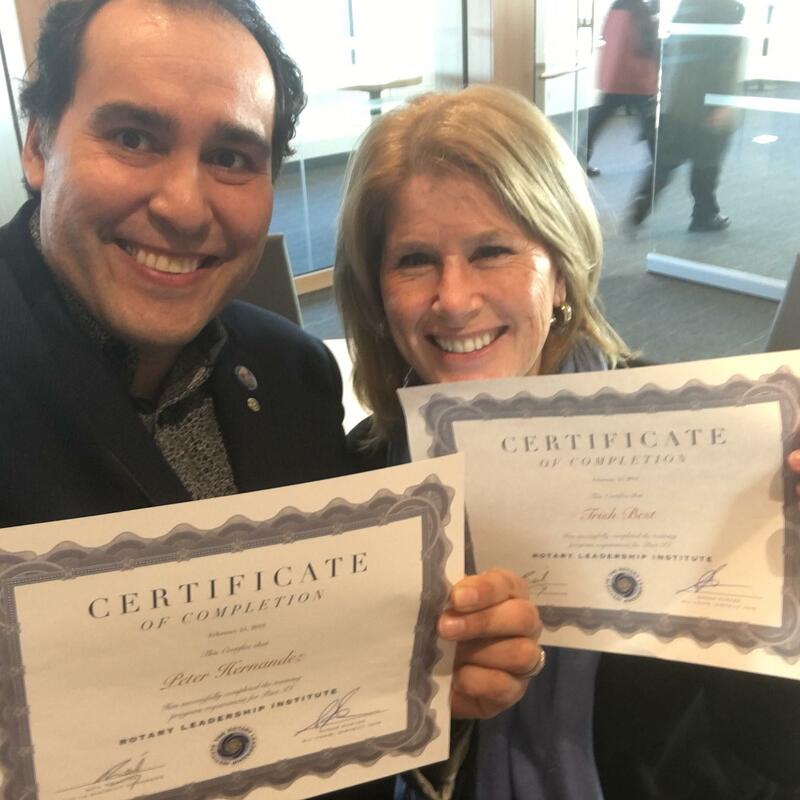 What a Great Meeting... and what a surprise!!! 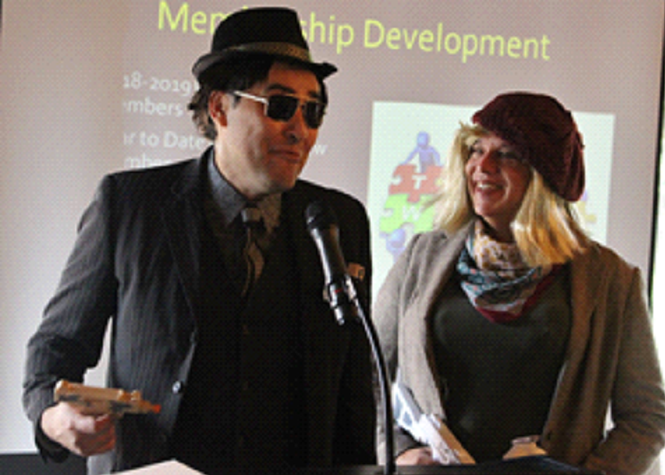 Who is she??? 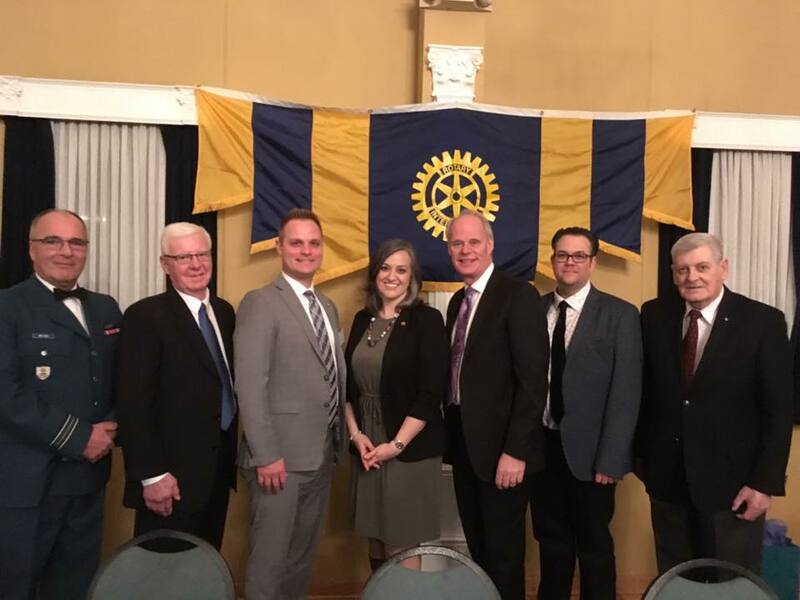 The Oshawa Night of 1000 Dinners on November 21, 2018 will feature David Collenette as guest speaker. 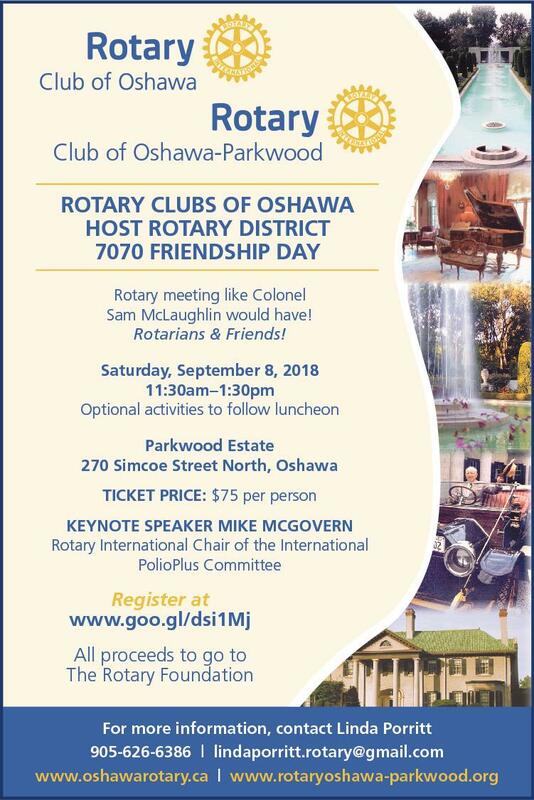 David was the Minister of National Defense (1993-1996) leading up to the signing of the Ottawa Treaty and will tell the stories behind the scene how the Canadian military came to support the ban on landmines and how that made the Ottawa Treaty possible. 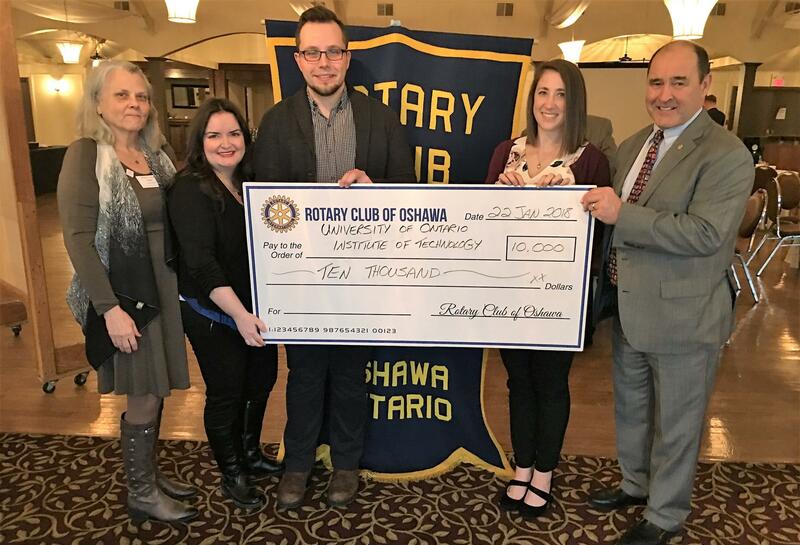 President Ron presented the $10,000 cheque for the FSSH Graduate Rotary Bursary. 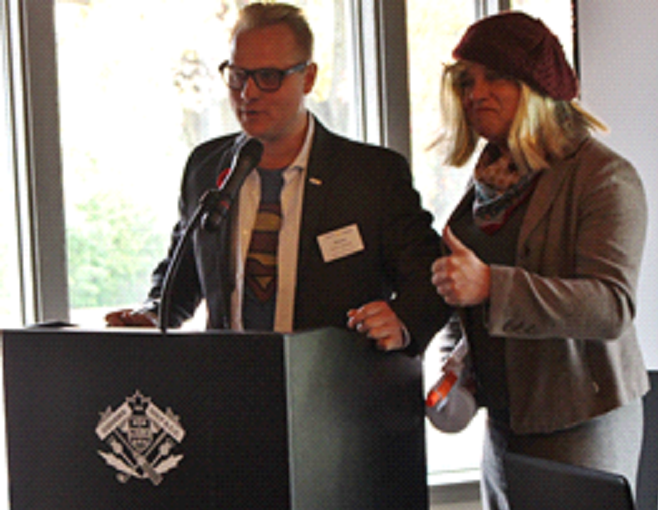 to Jodie Cowan who received it on behalf of UOIT. 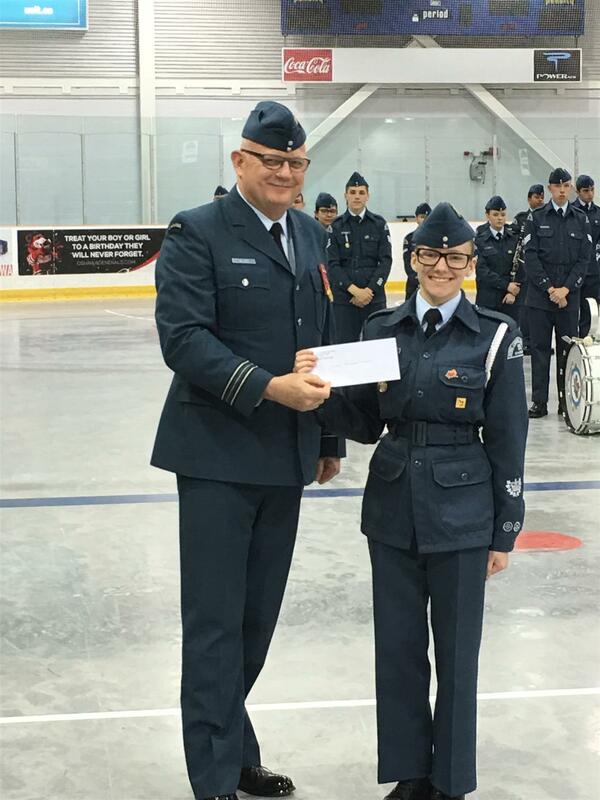 Jodie also presented the endowment fund report to President Ron and thanked our club for our additional support for undergraduate bursaries.. 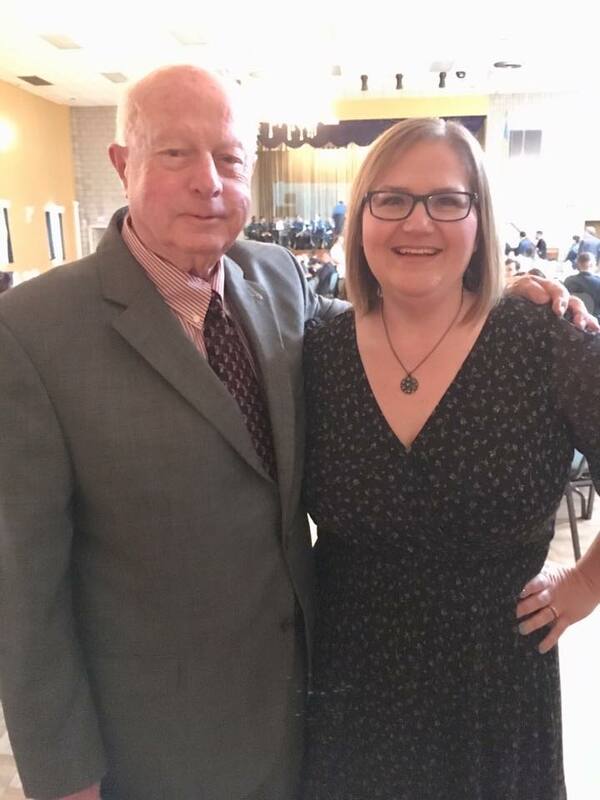 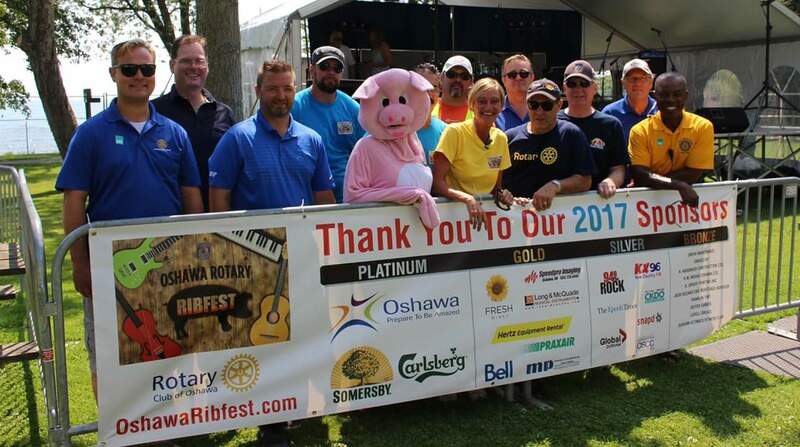 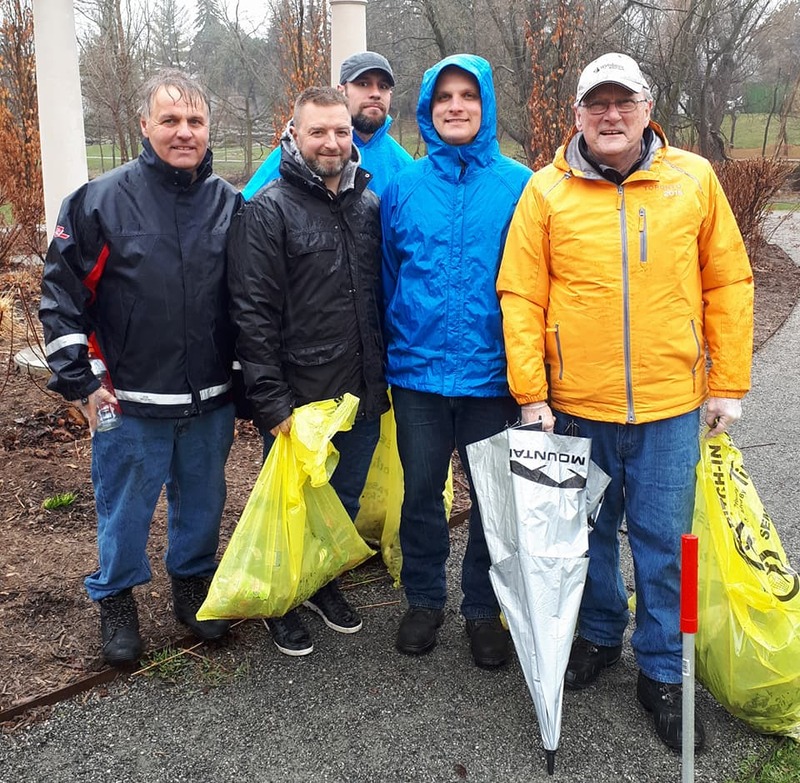 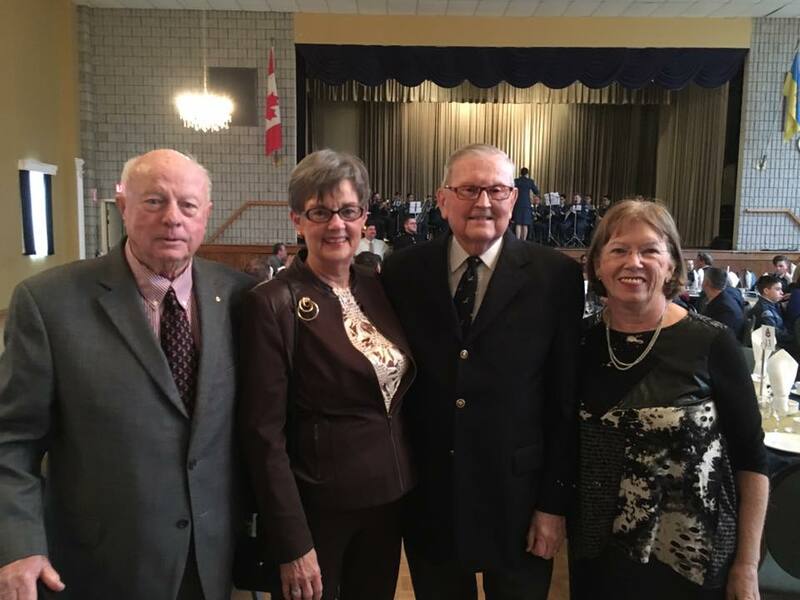 The Rotary Clubs of Oshawa and Oshawa- Parkwood hosted over 100 Rotarians and guests from more than 10 Rotary Clubs in Rotary International District 7070. 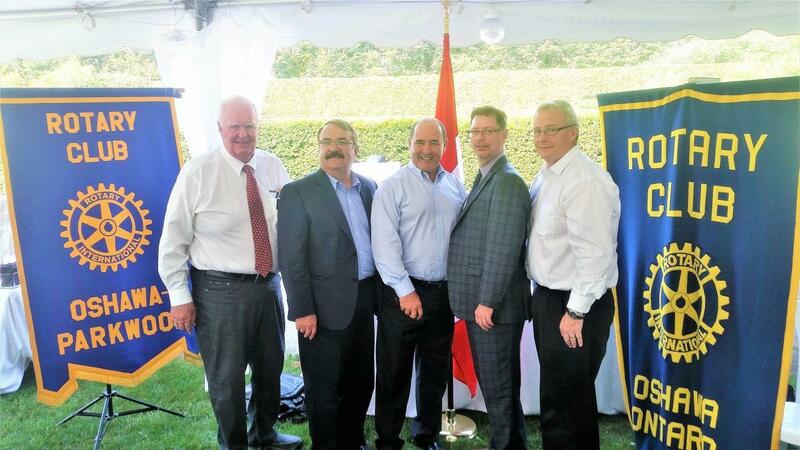 Rotarians and their guests came from Etobicoke in the west to Trenton in the East and everywhere in between at the “revived” Rotary Friendship Day,on Monday, September 25, 2017 on the grounds near the reflecting pool at Parkwood, to help celebrate the 100th Anniversary of Parkwood Estate, it was announced today by Ron ***, President of the Rotary Club of Oshawa and by Ted Morrison, President of the Rotary Club of Oshawa-Parkwood, who is also a Past District Governor of District 7070. 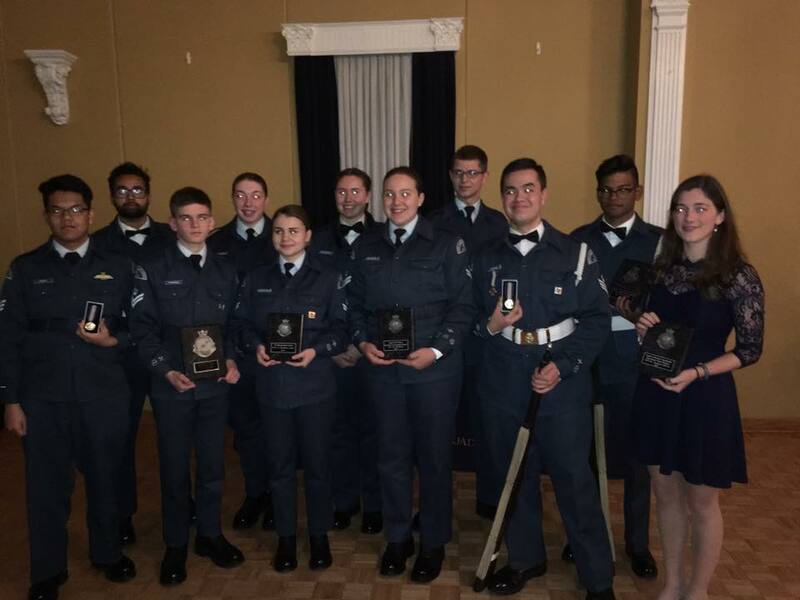 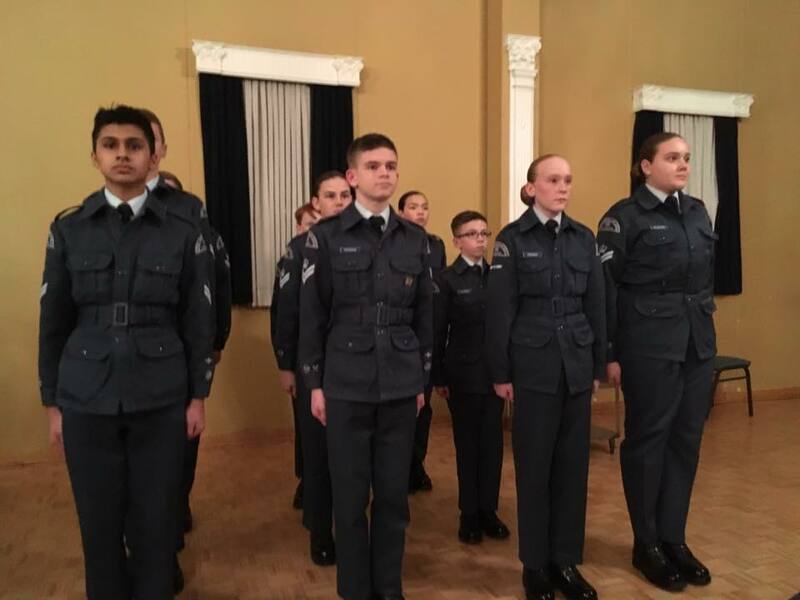 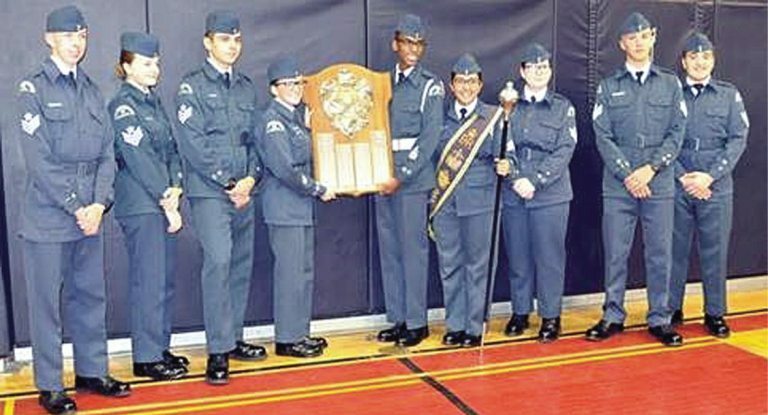 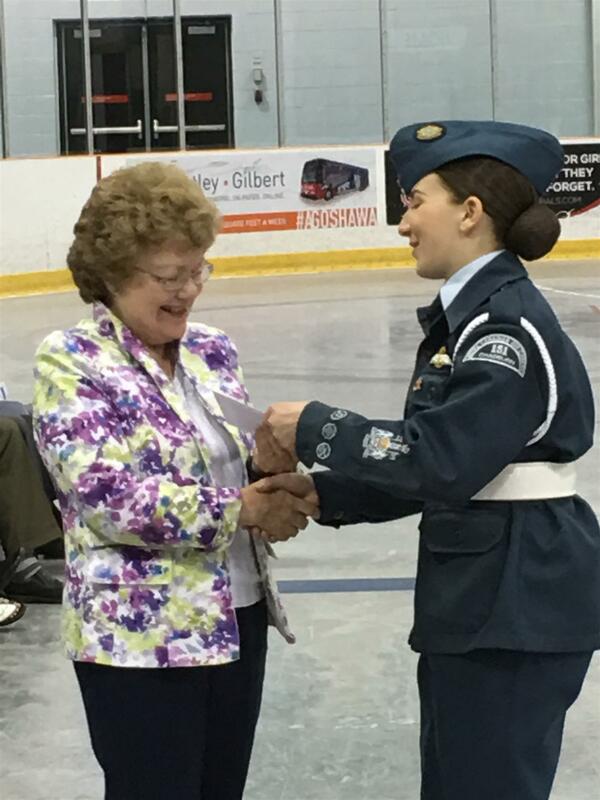 151 Chadburn Squadron - Royal Canadian Air Cadets. 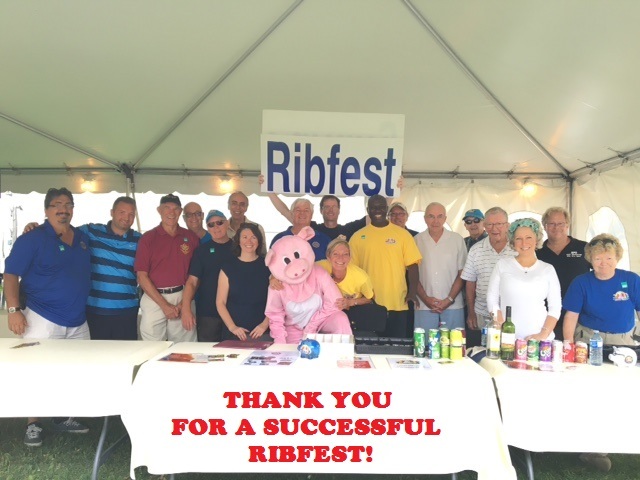 Thank you to all of our volunteers as well with out your tireless work and support this weekend would not be possible! 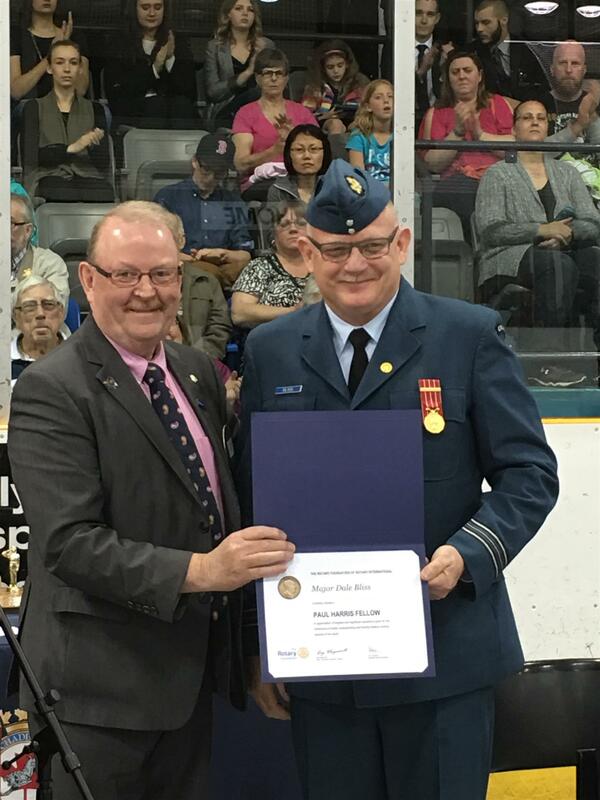 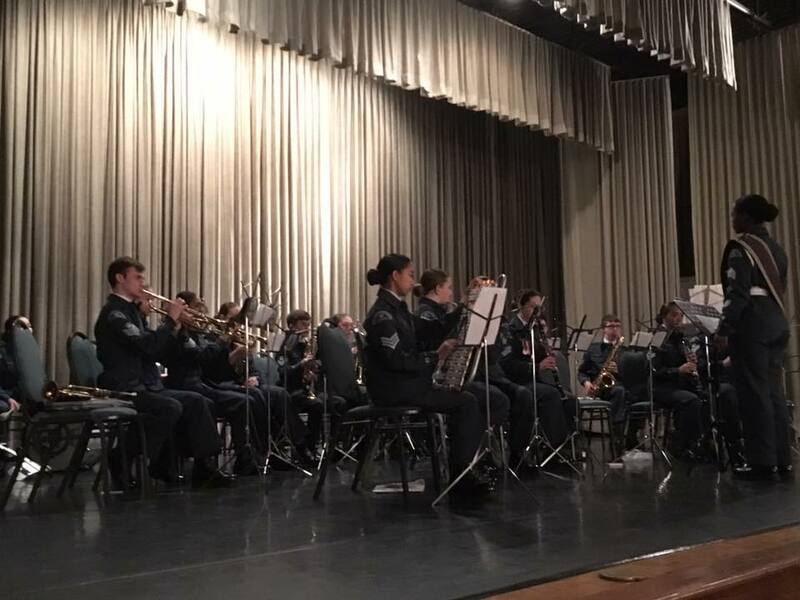 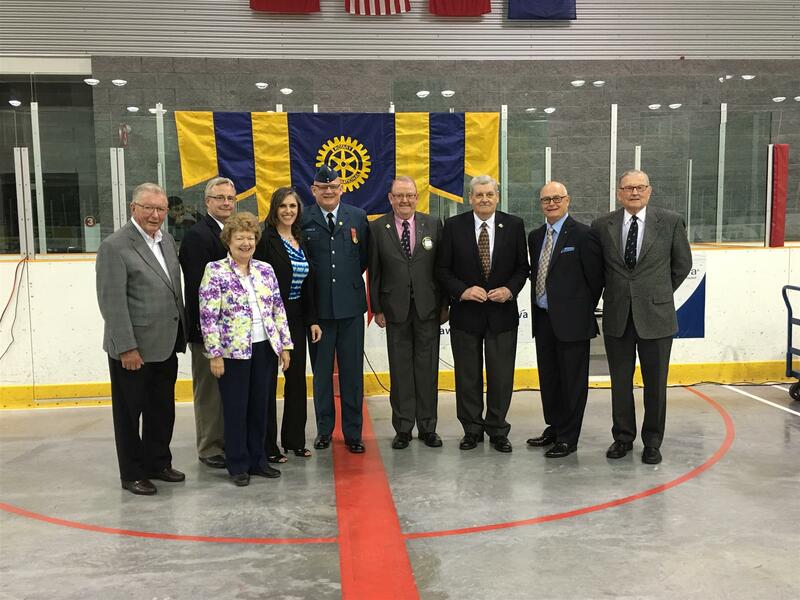 Rotary Club of Oshawa members attended the 75th Annual Inspection of the RCAC 151 Chadburn Squadron. 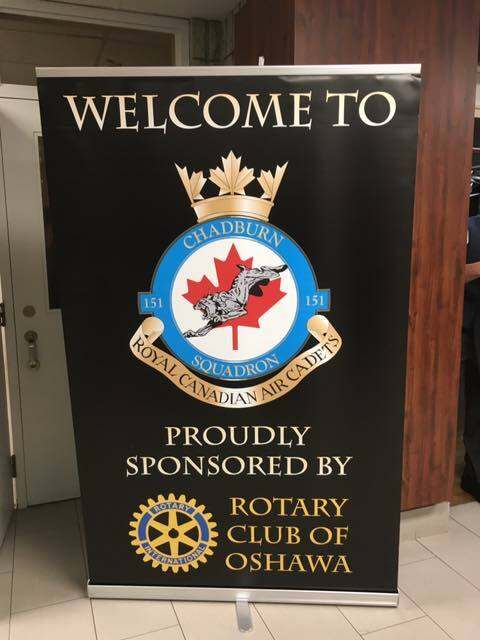 Saturday at Legends Center in Oshawa. 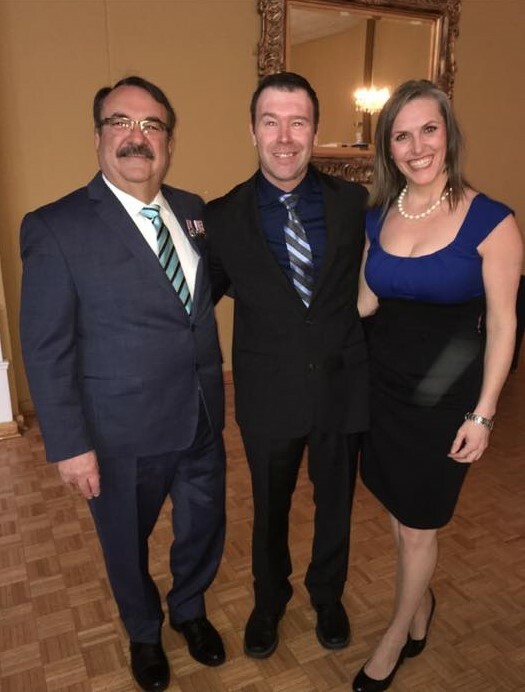 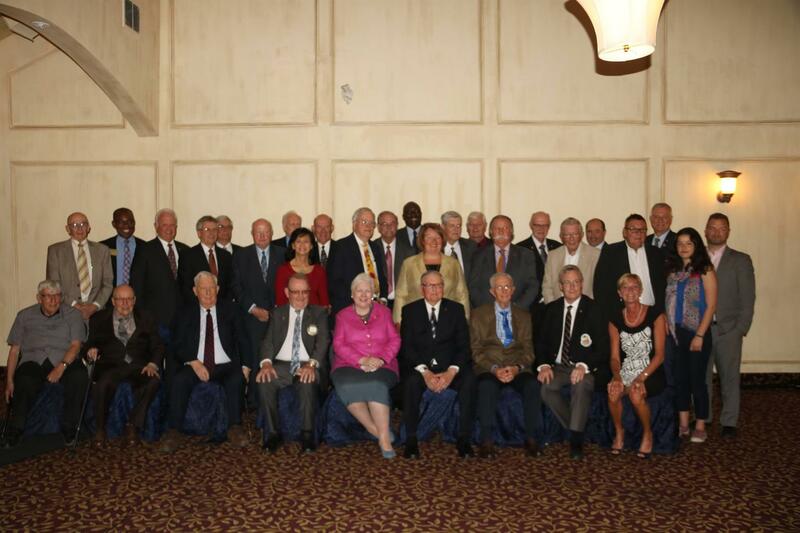 The Annual Past Presidents Honours and Awards Dinner was held at the Jubilee Pavilion on Monday June 5, 2017. 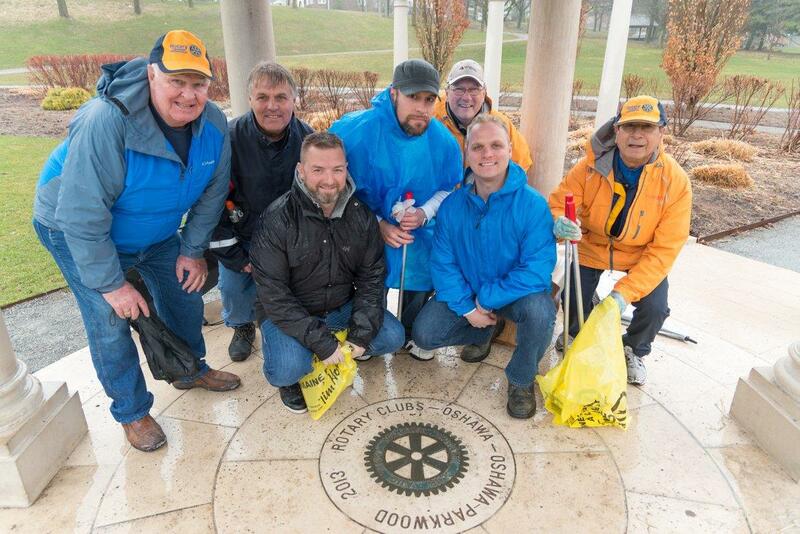 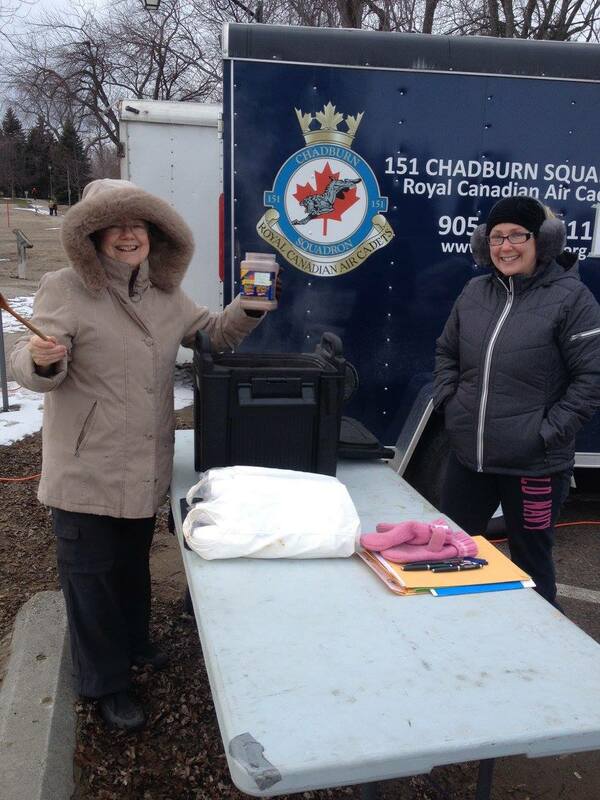 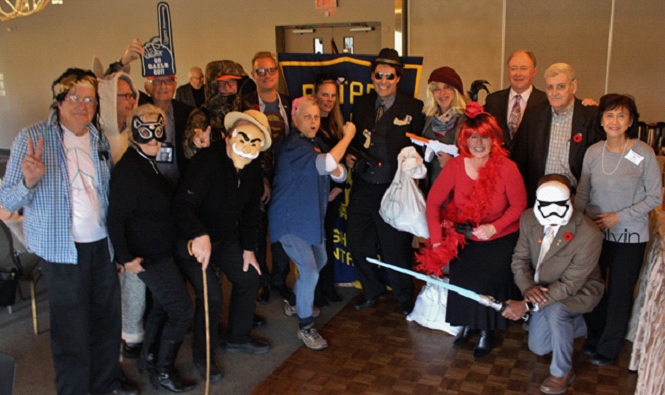 151 Lloyd Chadburn Squadron is one of many organization that the Rotary Club of Oshawa support. 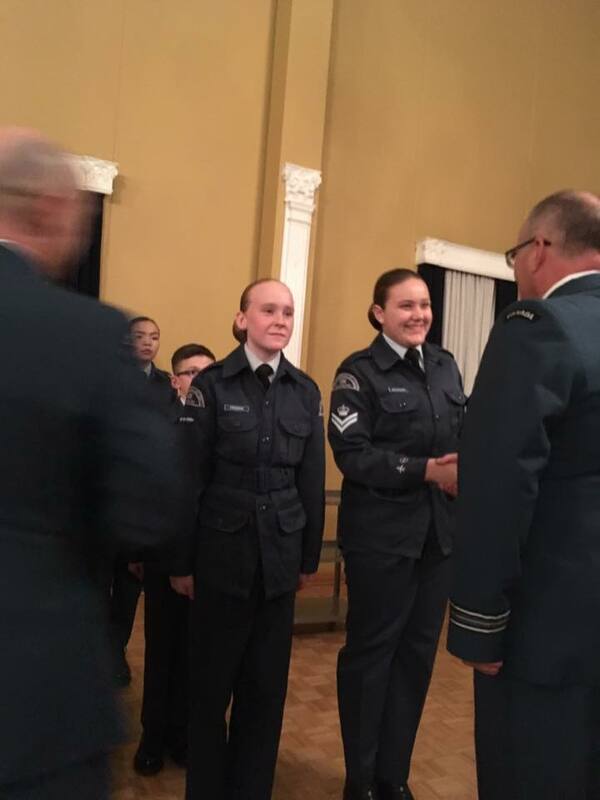 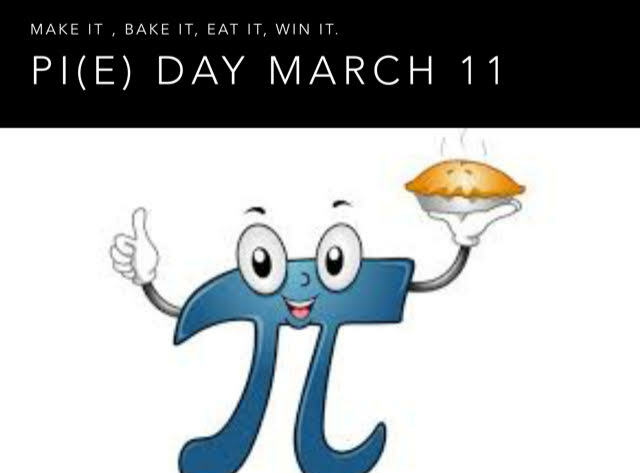 Please click on the link below for the full story of what our youth is up to in your community. 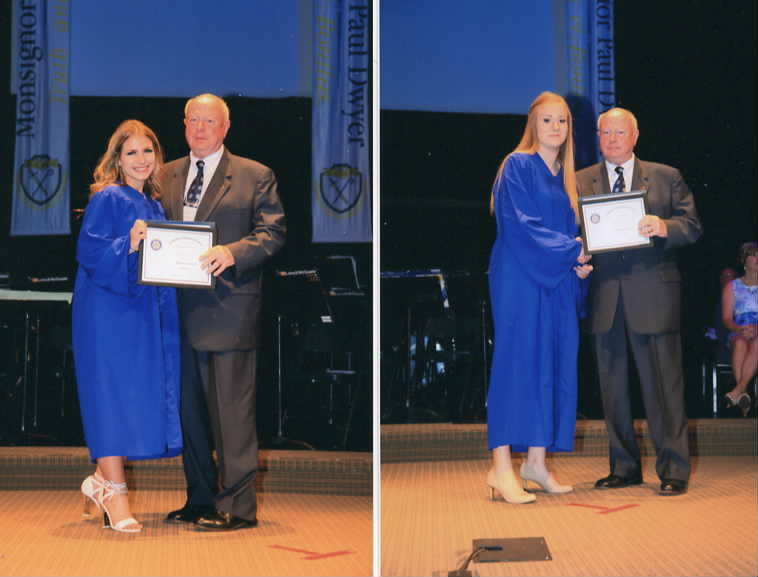 Congratulations to Kasia Stawiarski and Cierra Kozole from Dwyer for receiving the Rotary Scholarship Awards presented by Tom Maxwell at their graduation ceremony. 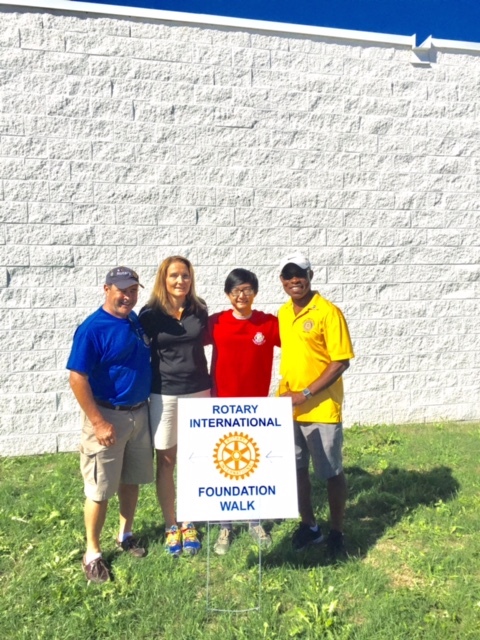 Foundation Walk 2016 - Thank you for your Support! 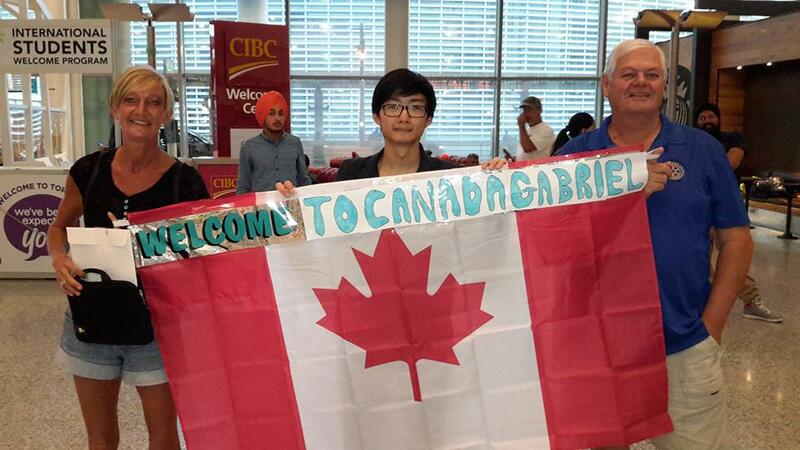 Welcome to Canada Gabriel! 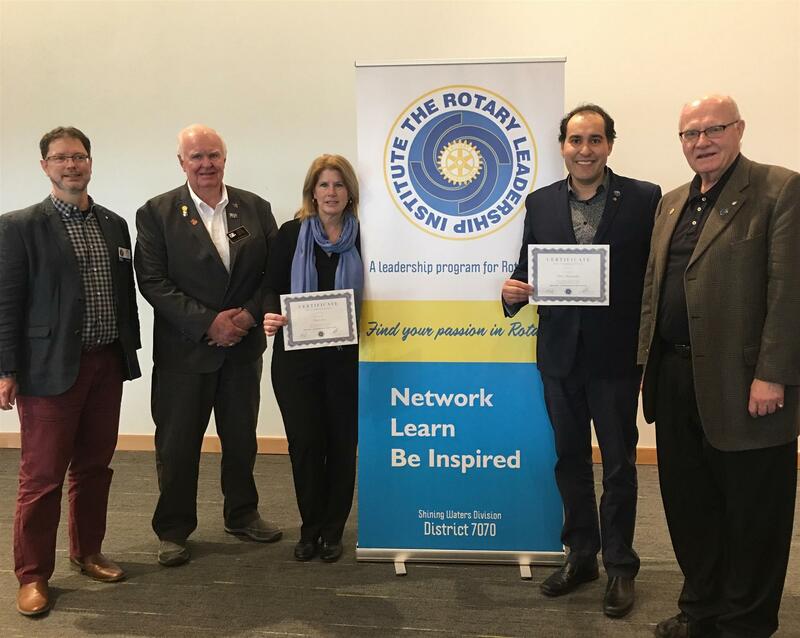 Rotary International Exchange Program.